Owing to the wide experience of this domain, we are instrumental in rendering Zinc Phosphating Service to our clients. Being an eminent company, we are involved in rendering Zinc Phosphating Service. Zinc iron plating offers good corrosion resistance, typically 4 to 5 times better performance than Zinc plating and a deep, lustrous black appearance. It is used extensively in applications where its appearance is of key importance. Zinc Phosphate Coating Services is applied when increased corrosion resistance is required. Zinc phosphate withstands 240 hours of neutral salt test.A wide range of coating weights may be obtained: from very thin fine crystal films to heavy deposits with weight up to 4 g/ft2 (40 g/m2). Owing to the wide experience in this domain, we are instrumental in providing Zinc Phosphate Coating Service. We are one of the leading and well known service provider for the Zinc PhosphatingServices . By using supreme quality machinery and latest technique we are providing these services on a very optimal price to our valuable clients. to maintain the superior quality we have hired a team of qualified professionals. 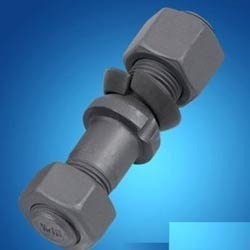 Being an established manufacturer and supplier of this domain, we are engaged in offering wide assortment of Metal Fastener. Offered product is well examined on various quality parameters. Chlorate accelerated zinc phosphating system intended for heavy wire drawing applications. Best in result our presented Zinc Phosphating services are widely praised at industrial level. These services are easy to obtain from our firm at affordable price. These zinc coatings are safe to use and done by the use of expert suggested chemical composition bearing input. We are engaged in providing the service of Zinc Phosphating Process. The service of semi auto zinc phosphating process work which we are providing to our client are made under the provision of the skilled & professional team. We are one of the leading and well known service provider for the Zinc Phosphating Service. Zinc Phosphating layer prior to your painting operations. this is a simple immersion process. Dense, heavy, adherent coatings obtained by this process, prevents excessive wear and tear of moving parts of machinery. The non conducting phosphate coat beneath an oil film also serves as a corrosion barrier. We offer zinc phosphate coating as per the specifications IS 3618-1966 class A2. Uniform and smooth zinc phosphate coating at low temperature 34-45° C.
We are one of the leading and well known service provider for the Zinc Phosphate Plating Services . By using supreme quality machinery and latest technique we are providing these services on a very optimal price to our valuable clients. to maintain the superior quality we have hired a team of qualified professionals. Providing are zinc phosphating services. Zinc phosphating is a process, which is done without electricity. Thickness up to 10 to 15 microns can be offered as per our client's specific requirements.